After almost 40 years, this CD reintroduces original members Stan, Steve and Carl, who together with Don Reineke and Rick Hoadley take you back to the 1960's. The collection features the original recordings of "Hey Little Girl" and "Those Days are Gone", along with newly recorded cover songs from the Thunderbirds 1960's set. Click here for details on the Thunderbirds CD "2nd Time Around", including sound clips. "Rock Roots from the Heartland"
The Iowa Rock 'N Roll Music Association (IRRMA) is proud to announce the release of a power CD entitled �Rock Roots From The Heartland." In the event you like toe-tappin�, rockabilly style rock �n� roll music, then this CD is for you. 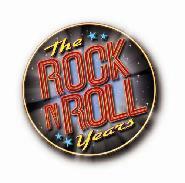 It contains 29 rockabilly type tunes performed by IRRMA members. The CD cover is an eight-page booklet listing all artists who contributed their time and talents to this project. This is a CD that absolutely belongs in your music collection. The Thunderbirds contributed their version of the great Chuck Berry's signature song - Johnnie B. Goode - #13 on the CD play list. Click HERE to purchase this CD at the IRRMA online store. Tell um' the Thunderbirds sent you! "Garage Rock from the Heartland"
Released September 1st 2007! It continues to sell fast. We appreciate your support of our efforts and trust you will enjoy the music created by some of Iowa�s finest musicians. Click HERE to purchase this CD at the IRRMA online store. Tell um' the Thunderbirds sent you!